^ "South Carolina Gov. Nikki Haley Signs Confederate Flag Bill Into Law". NPR.org. July 9, 2015. 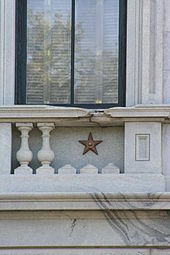 "South Carolina State Senate Debate on the Confederate Flag". C-SPAN. June 23, 2015. Retrieved June 25, 2015. 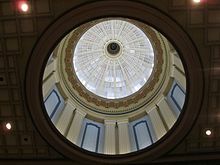 The South Carolina State Senate convened for a special session to debate a procedural measure that would allow them to consider at a future date a bill that would remove the Confederate flag from the State House grounds. The resolution was passed by voice vote. 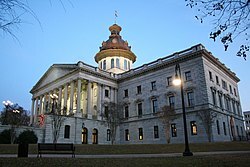 The South Carolina House of Representatives had passed a similar motion, as called for by Governor Nikki Haley (R-SC). State senators also paid tribute to State Senator Clementa Pinckney, who was one of the nine people killed in the June 17, 2015, shooting at the Emanuel African Methodist Episcopal Church in Charleston.